International Alternative Dispute Resolution (ADR) practice areas: Arbitration, Mediation, Fact-Finding, and Ombuds. John L. Woods Jr., Esq. is a Partner with NS&J Advisory Group. His international ADR practice includes serving as an arbitrator and mediator in the following areas: workplace, commercial, securities, and education. 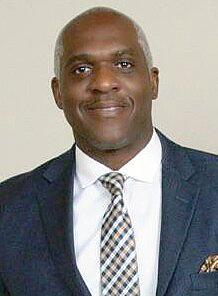 He currently serves as a panel arbitrator and/or mediator for a number of organizations including the United Nations (UN), the Arbitration Foundation of South Africa (AFSA), Trinidad and Tobago Chamber of Commerce, American Arbitration Association (AAA), U.S. Financial Industry Regulatory Authority (FINRA), U.S. Equal Employment Opportunity Commission (EEOC), New York City Department of Education-United Federation of Teachers, and the City of Baltimore Civil Service Commission. John’s ADR practice also includes conducting civil and human rights investigations. He has led or served as a member of fact-finding missions to the Dominican Republic, Haiti, the Western Sahara, Algeria, and Colombia. John created the Integrated Stakeholder Model for Human Rights Investigations. This model has been used as the guiding methodology for various human rights fact-finding missions. John has developed Ombuds programs and served as both a corporate and a college Ombudsman. He has conducted ADR training and designed ADR systems in North America, South America, Europe, and Africa. John is also a former Supervisory Federal Civil Rights Investigator, Chief Mediator, and Director of Dispute Resolution Programs for the U.S. Federal Government. John is the Co-Director of the ADR Program and Adjunct Law Professor at Howard University School of Law. He is currently the Co-Chairman of the National Bar Association’s International Partnerships Committee. John serves on the Board of Trustees for Caribbean-Central American Action. John received a Juris Doctorate Degree from Howard University School of Law, a Masters Degree from New York University, and a Bachelors Degree from the State University of New York at Albany. John L. Woods Jr., Esq.